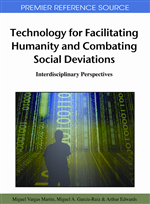 This chapter presents the conceptual development, design requirements and functional descriptions of a team based multi-user, web-based and global telecooperative system as a new multidisciplinary collaborative paradigm. This system uses as a foundation the distributed and collaborative intelligent environment (DCIE) developed by the author. Distance, time, and distribution are the main attributes of the telecooperative system and its applications. The developed system aims to carry out cooperative plans and processes over geographically distributed locations that lead to make well-informed decisions, better utilization of resources, enhance safety and reduce cost. In addition, this article foresees the role of Internet, information and communication technologies (ICTs) to support and enhance emergency management and relief activities in relation to natural and human made disasters, and human assistance activities. As an example of human made disasters, landmine disaster and humanitarian demining needs are introduced, and the core collaborative functional requirements are presented to support the integration of wide range of humanitarian demining activities, cooperation and coordination between all relevant parties at global, regional and local levels. Disasters are tragic consequence of natural and human made hazards that negatively affect life, health, environment, economy, etc. It is a well-known fact that natural and human made disasters strike countries, developed and developing, causing enormous destruction and creating human sufferings and producing negative impacts on national economies. Cities are highly vulnerable to the effects of natural and human-made disasters. It is possible to categorize disasters into, natural, human-made, and human induced disasters. Natural disasters are inevitable and naturally occurring events and it is almost impossible to fully recover the damage caused by these disasters. However, it is possible to minimize the potential risk by developing disaster early warning strategies, prepare and implement developmental plans to provide resilience to such disasters and to help in rehabilitation and post disaster reduction. Common natural disasters are earthquakes, landslides, volcanic eruptions, floods, tsunamis, hurricanes and high winds, tornados, typhoons, avalanches, tropical storms, forest fires, extreme heat, extreme cold, etc. Specific disasters might occur due to location and different geographical features of a region [Alexander, 1993, IFRC, 1998, UN-ESC, 2005, HABITAT, 2009). Since 1975, there has been a fourfold increase in the number of recorded natural disasters, the highest of which was 801 disasters in 2000. Between 1996 and 2005, disasters accounted for over US$667 billion in material loss (UN-HABITAT, 2009). Examples of human made and human induced disasters are: conflicts and wars, mines and minefields, weapons of mass destructions (biological, chemical and radiation), diseases, nuclear power plants accidents, oil spills, negatively impacting climate changes and extreme weathers, ecosystems degradation and pollution, mismanagement of natural resources, etc. The social, economic, health, development and rebuilding consequences of disasters are immense. The players in disaster management team may include governments and international organizations along with a wide range of local players and at all levels. Crisis response includes the logistics of getting medical care, food, water, awareness, shelter, and rescue teams to the scene. Regional, global, local and other resources can be provided to assist those affected. The recovery should encompass both short-term activity intended to return vital life-support systems to operation and longer-term activities designed to return infrastructure systems to pre-disaster conditions. To be prepared for unforeseen events, the integrated players must make contingency plans and coordinate their planning with other agencies and parties involved.